The York Ice Arena opened in September of 2001. The Memorial Park Ice Rink had provided public skating, figure skating and hockey programs for the York community in the years before the new complex was built. 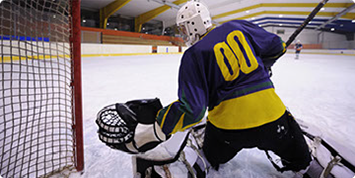 As local and national interest in ice sports began to grow, the demand for ice time increased. York County also saw a mass expansion into high school hockey. The existing ice rink was incapable of handling the surge and it became apparent that a premier facility was on the horizon for York. The organizations who depend on the ice came together to discuss the available options with the City of York. Ultimately a non-profit was created to build a new complex and York City Recreation Corporation (YCRC) managed the early years of the new facility. In October 2014, the York Revolution accepted the management role at the city-owned arena. Plans are being executed to continually improve the skating and recreation experience to benefit the patrons of the facility, the people of York County and the momentous revitalization of York City. The YCRC continues to provide exciting new non-skating program through its partnership with the City of York. Come skate with us and when your next event is on the horizon, consider the host of amenities at York Ice Arena!